Health and fitness has become top priority and focus for the majority of skilled golfers. Before fitness was popular, many golfers overlooked the importance of their health and body. They primarily focused on their equipment, mental game, and technique. The golf performance world has exploded on the scene since Greg Norman and Tiger Woods started dominating the rest of the field with their confidence and power. Now fitness is the norm for the top players in the world like Jordan Spieth, Ricky Fowler, and Rory McIlroy who credit their fitness trainers and programs as a big part of their success. The latest list of top PGA Tour driving distance statistics report the average driving distance to be over 290 yards for the top 150 PGA Tour players and over 250 yards for the top LPGA Tour. Based off the data from Golf WRX, the average player on the PGA Tour has at least a 114 mph swing speed to average around 290 – 300 yards. The LPGA Tour players average at least 95 mph swing speed. Not long ago, a 300 yard driving distance average was not that common on the PGA Tour. These new age tour players are using short irons into long par 4’s instead of mid to long irons that many of the golfers would have used 15-20 years ago. That makes a big difference in hitting greens in regulation and the average distance from the hole being closer for birdie and eagle putts. Good putting statistics may be the equalizer to lower scores. I still would be willing to bet my money on the golfer who is playing a more lofted club on their approach shot and on average gets the ball closer to the hole versus the golfer who is 25-50 yards farther back. 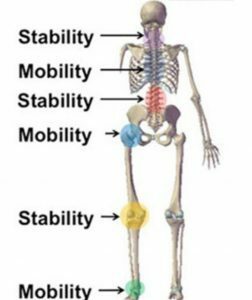 The diagram above demonstrates the correct sequence of mobility / stability pattern for each joint throughout the body. When this pattern is disrupted due to muscle imbalances or restrictions there will be over compensation of the body that will result in swing characteristics that will cause ball flight issues. The goal for any TPI certified fitness trainer or medical expert is to find out where the source of the problem is by screening each joint before creating an effective exercise or therapy program that improves the mobility or stability of each joint segment. A common mistake that many golfers make is they focus on the symptom(s) rather than the source of the problem. An example, is a golfer that tops the ball (loss of posture at impact) so they focus on keeping their head still or down throughout the swing to prevent them from coming up. This golfer may do better on the next golf swing by staying down but it doesn’t solve the underlying problem. It actually creates more long term issues (trying to keep head down) because it limits the rotation of the upper trunk, which is necessary for finding a consistent impact position. The best solution is to first find out if the golfer who experiences loss of posture has tight hips, hamstrings, calves, or upper trunk by performing TPI Screens. Next, a certified TPI expert can use other forms of feedback to further assess if the golfer is struggling with body restrictions, swing sequencing problems, or lack of understanding the correct movement / technique for their swing. Because every golfer is unique, there isn’t a one size fits all approach that will work. If you want to improve the source of the problem for long term results, you must follow the four steps below. There is a reason the top players in the world are constantly working on their bodies and health to gain a competitive advantage over their competition. Your body is the extra club in your bag that can help or hinder the consistency and power in your golf game. The off season is the best time to groove your swing and get it ready for the next season by performing exercises and movement pattern drills. 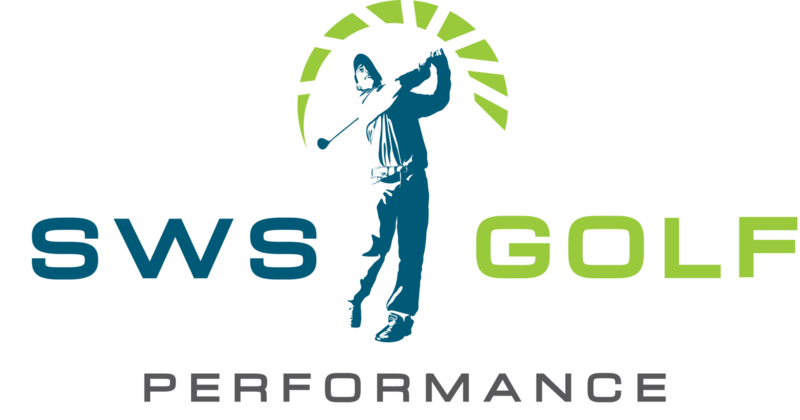 SWS Golf Performance offers fitness programs that focus on the body-swing connection.